Ministry of Propaganda - 09/Apr/2006: "Google Earth is Dangerous!" Expert: Google Earth poses risk to the security of the Soccer World Cup. To me it sounds like something Bruce Schneier would call a 'Movie-Plot Threat', apparently terrorists could use coordinates gained from Google Earth to fire a Scud missile from a ship on to a football stadium during the FIFA Football World Cup 2006. Right. Sounds a bit far fetched to me. So someone who is capable to obtain a Scud missile and launch it from a ship needs Google Earth to do this? They can't just send someone with a GPS system to walk around the stadium to get the coordinates? Or use a good old-fashioned Sextant (if someone asks you can always claim to be practising for your nautical exam ;-))? Or just buy a few very detailed maps? At least for the UK you can easily buy maps with a 1:10,000 scale, which I suspect to be good enough for those purposes considering the size of a football stadium. 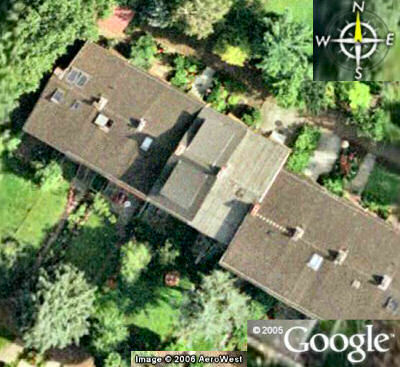 PS: For German readers, here's the original: Experte: Google Earth gefährdet WM-Sicherheit.